As even a Google search of the word “caravan” will tell you, the Trump administration is freaked out about a jump in migration from Central America since March. Children and families from El Salvador, Guatemala, and Honduras are once again crossing the border and seeking out U.S. authorities to petition for asylum or other protected status. A few days ago I posted a chart showing that what we’re seeing is a normal seasonal increase in migration—this is the time of year when the desert neither freezes you at night nor bakes you during the day—and that numbers had in fact flattened out in April. But look more closely at the Central America numbers, and something interesting emerges: Honduras is the only country whose increase is more than seasonal. 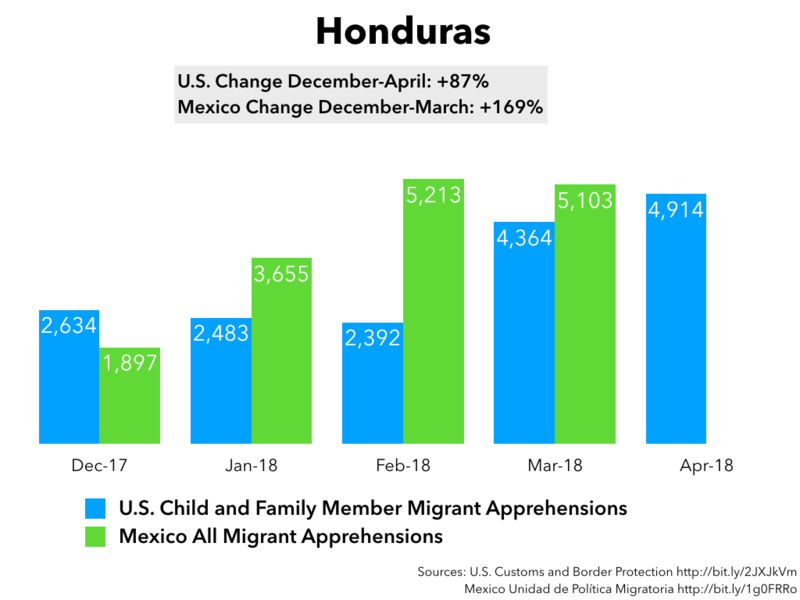 In April, U.S. Border Patrol apprehended 87 percent more Honduran children and family-unit members than it did in December. 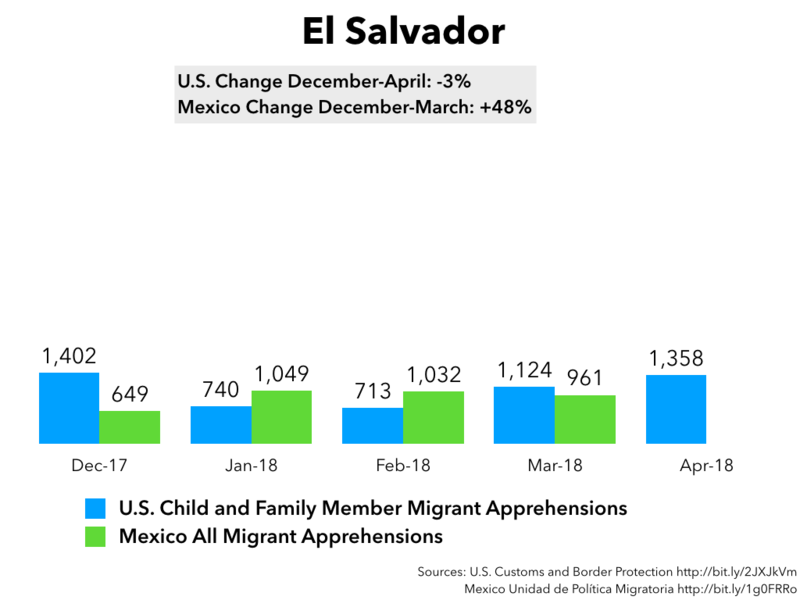 Guatemalans and Salvadorans are down from December. 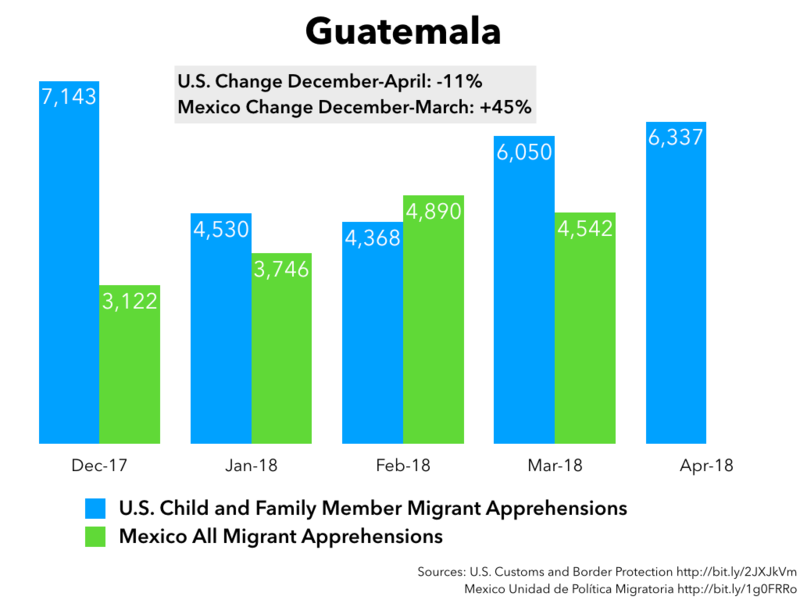 After a 169 percent increase from December to March, Mexican authorities are now apprehending more people from Honduras then from neighboring Guatemala. Two years ago, when El Salvador’s homicide rate was over 100 per 100,000 inhabitants, Border Patrol was apprehending more Salvadorans than citizens of the other two Northern Triangle countries, while Honduras was in third place. Now, it’s switched around. Honduras, though still behind Guatemala, is the fastest-growing. Most members of this year’s migrant caravan through Mexico were Honduran, as much reporting noted. In my view, the strongest variable explaining the jump in Honduran out-migration is the aftermath of the probably fraudulent vote that re-elected President Juan Orlando Hernández on November 26, 2017. Since then, the country has witnessed frequent protests, including a violent May 1, and a brutal crackdown. This may contribute to a general sense of disorder spurring more Hondurans to leave. More specifically, pulling military police out of high-crime neighborhoods to go after protesters and activists may have left a vacuum of authority that criminal gangs are competing to fill.